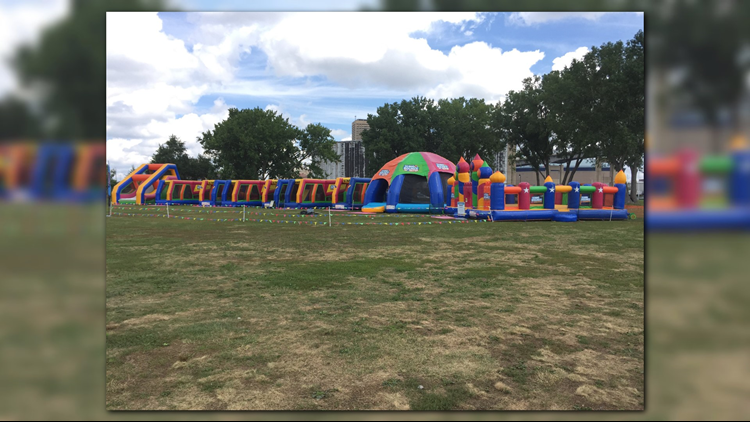 For one weekend only, 10,000 square feet of Buffalo's Outer Harbor will be dedicated to a massive bounce house. But it's more than your ordinary bounce house: welcome to Big Bounce America! 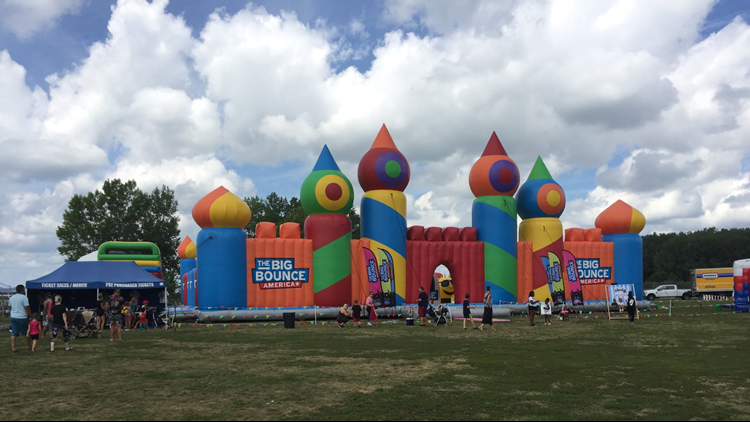 BUFFALO, NY—There’s a 10,000+ square-foot giant bounce house in the Outer Harbor, which seemingly popped up out of nowhere. The world’s biggest bounce house, Big Bounce America, has stopped in Western New York during its country-wide tour, from August 10-12. But if you haven’t seen it yet, this is more than just your typical bounce house. It includes a basketball court, obstacle course, massive slide, and a ball pit, with a professional DJ in the middle. At night, there are even lights and confetti to keep the fun going after the sun sets. Each bounce session lasts one hour, but there is a separate 10,000 square-foot bounce village where you can have fun even longer. -Toddler Sessions are for children aged 3 and under accompanied by parents/carers. -Junior Sessions are slower paced sessions aimed mainly at kids aged 7 and under. -Bigger Kids Sessions can be a bit more boisterous and are aimed at kids 15 & under. -Adult Sessions are for anyone aged 16+. Anyone aged 15 or under will not be admitted. If there's a chance of bad weather or windy conditions, session dates can be postponed. In the event that it can't, refunds will be issued.